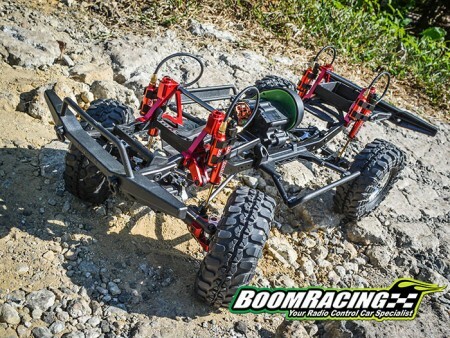 Mixing innovation, functionality, and good looks results in our latest creation, the BOOMERANG TYPE G. With an incredibly scale look and a ton of customization opportunities, the BOOMERANG TYPE G will give your scale truck or crawler the performance and appearance needed to finish on top. 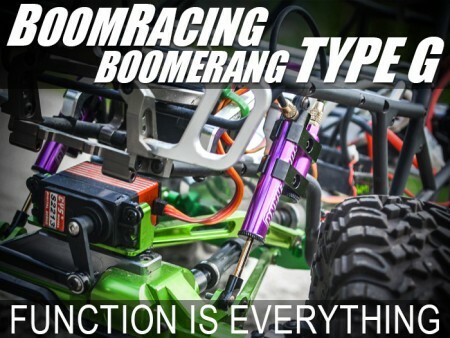 Available in a variety of metallic colors, the BOOMERANG TYPE G is the shocks to buy if you're looking to stand out from the crowd and take the gold. The BOOMERANG TYPE G looks and feels amazing, but as we know, things that look good in the industry tends to have less-than-stellar performances. The BOOMERANG TYPE G is the exception. Crafted in aluminum and made to look as scale as possible, the BOOMERANG TYPE G comes in a piggyback set-up with an oil reservoir that is fully functional. If you don't want it to sit together in the piggyback set-up, you can place the oil reservoir in another position on your car to give it that realistic look you deserve. The oil reservoir has its own spring unit within, and it comes with different springs so that you can see which fits you best. 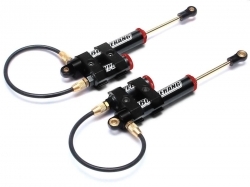 The unit also comes with decals for the shocks if you'd like to give it that extra hint of bling. 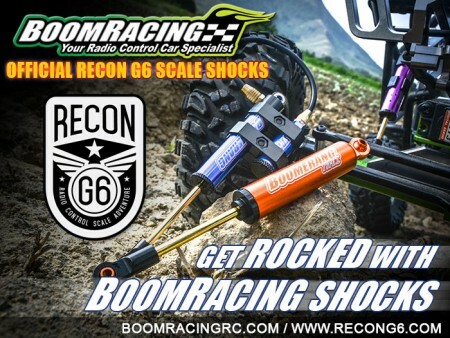 The Miscellaneous All Boomerang™ Type G Piggyback Internal Spring Shocks w/ Functional Reservoir 110mm for 1/10 Crawlers Black [OFFICIAL RECON G6 SHOCKS] has an average rating of stars based on 90 customer reviews. 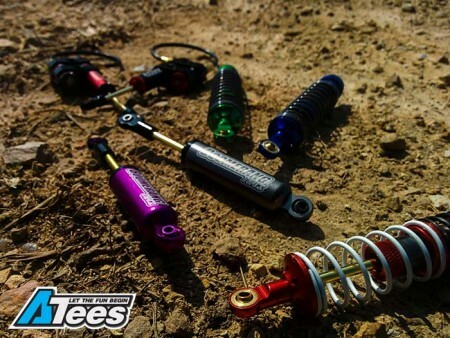 These shocks look really great in scale, but you have to consider that springs fit inside of shock its hard to control the strength of the springs. 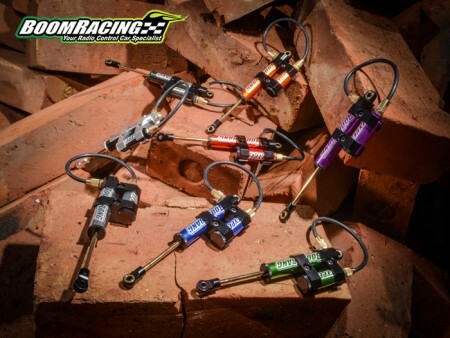 Overall, these shocks are awesome! Awesome appearance, handle great, make a great upgrade over stock shocks. 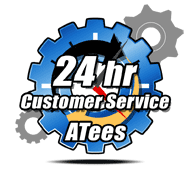 Daryle Wallington from Aldershot. Uk.